All right, true confessions. I have been dreading X in this series. But, with your support, let’s give X a try. We all remember solving for X from high school algebra. The unknown factor in an equation. So what is the unknown factor that makes an organization successful? What’s the mystery behind organizations that withstand the test of time, money and demanding stakeholders? Let’s try X as in setting an Xample or Xecute on commitments. Those are pretty good elements of a sound, effective ethics program. Maybe add in X as in X-ray for transparency. Also a good trait of successful leaders and entities. 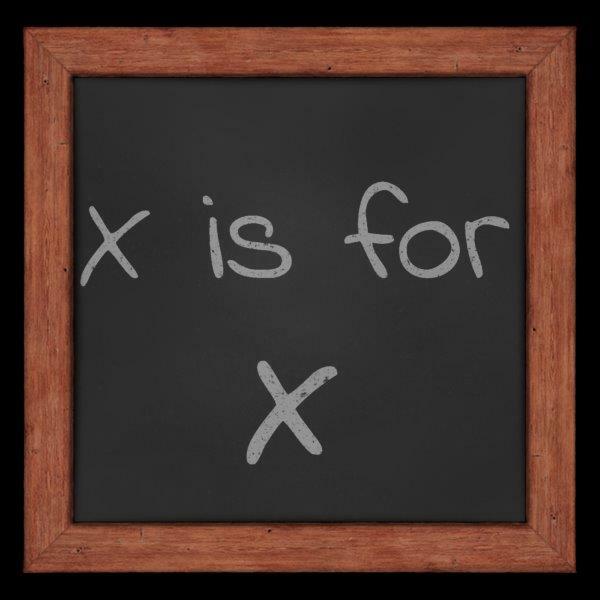 Maybe X is the sum total of all of our alphabet soup so far. It would contain elements of compliance, due diligence, integrity, kindness, openness, respect, and trust. That’s 7 letters of the alphabet. Maybe that would be X². Too much to ask? What do you think? Is X a person? The unity of many people? The vision of a few? We all know the –X element (minus X), when things are not going well. We audit, we search for metrics. Can’t catch a break! At a company I know, an engineer was hired away from a competitor. He brought with him an external hard drive containing every important project he worked on at the competitor. Everyone knew that was wrong but they did nothing about it until a customer noticed the competitor’s drawings in the company’s bid documents! Heads rolled. A lot of them! That’s what happens when all else fails. When we live up to commitments we develop a reputation for doing that. It’s called honesty and integrity. Reputation may actually be the X factor. There are web sites where people seem to feel empowered to tell you what it’s really like to work at a company…unvarnished and raw. We all know which side of that balancing act we want to be on. I have described an ethics program I helped implement from the ground up as being built on 3 guiding principles: honesty, integrity and respect for others. I still like that formulation and for me, they combine to give us the X factor we all need. It unifies all the policies, procedures and lofty statements of purpose. Let’s go with that. What do you think? Now’s the time to weigh in. We are getting to the end of the alphabet but not the end of the journey.